Years ago the Copenhagen skyline was mainly beautiful towers and domes. 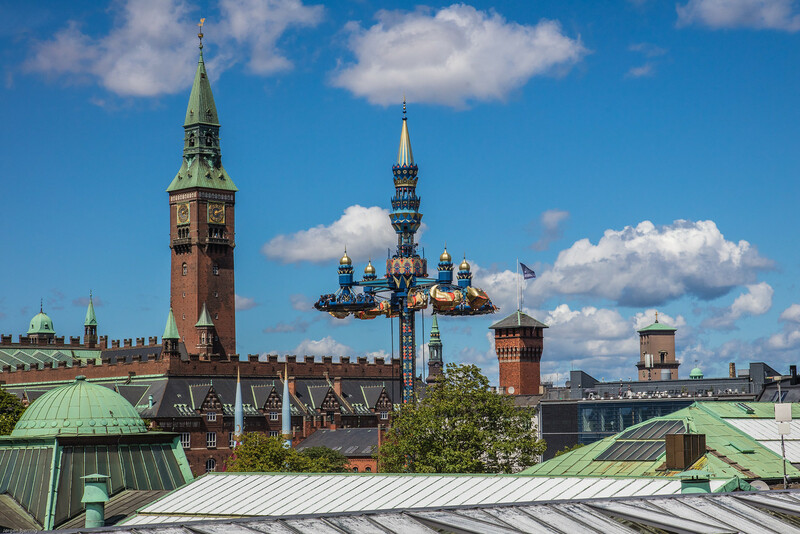 Now our great funfair Tivoli - situated in the center of Copenhagen - has spoiled the unic skyline with new monster amusements. The excuse is economy and public demand. 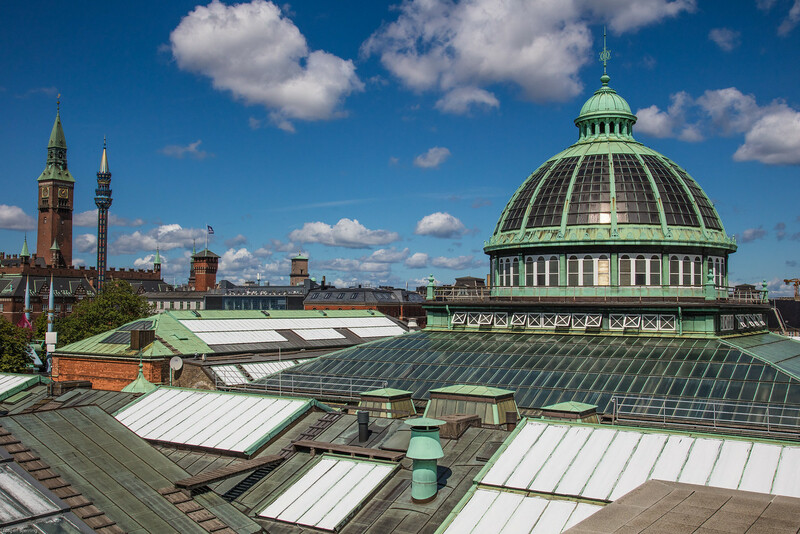 The photos are taken from the roof top terrace of Glyptoteket. I feel the same about any unwanted element in the background (and / or fg) that drifts into frame just at the wrong moment .. and renders as a white oof blob - eg swans / gulls / hi vis vests / thermal dog vests etc. Many thanks for your comment. I understand your problems, but the problem with the Copenhagen skyline is that it's permanent. 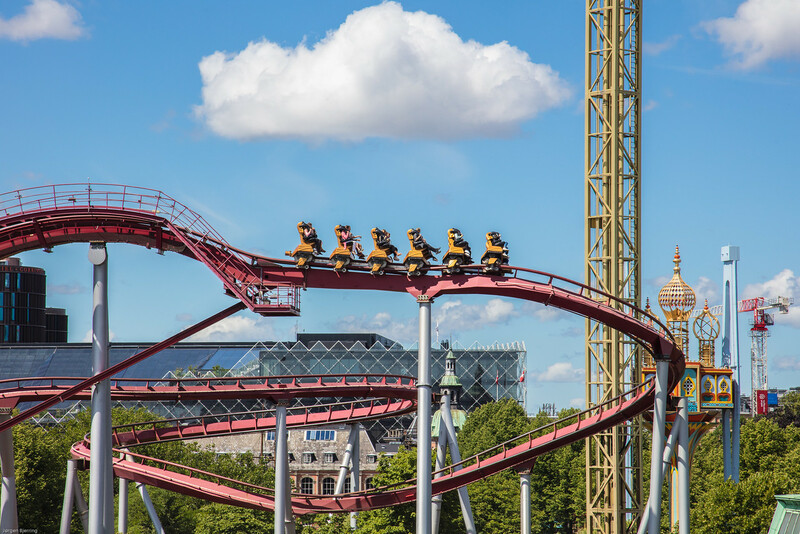 When Tivoli Gardens was established in 1843 it was situated outside the fortifications of the then Copenhagen. 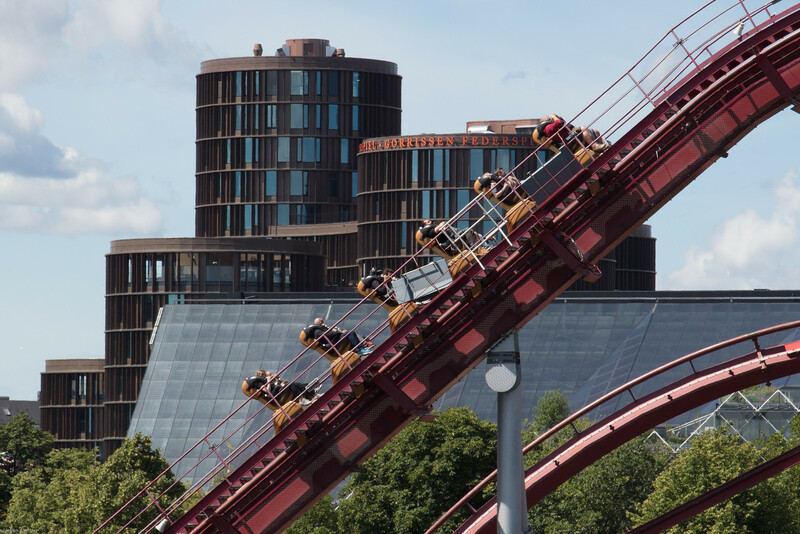 Now Tivoli is situated in the center of the center of Copenhagen. Over the last decades Tivoli has claimed that survival of the amusement park depends of continously establishing of new monster amusements and the politicians allow it. In fact all is a result of a rather traditional developing conflict. Roller coasters (or any ride for that matter) are rarely permanent. People naturally want something different given enough time. Hopefully the next time it changes they will take into consideration the esthetic value of the surroundings and build something that compliments instead of distracts.